Earlier today in Paris, Nicolas Ghesquiere closed what has become known as fashion month, with a stellar collection for Louis Vuitton. 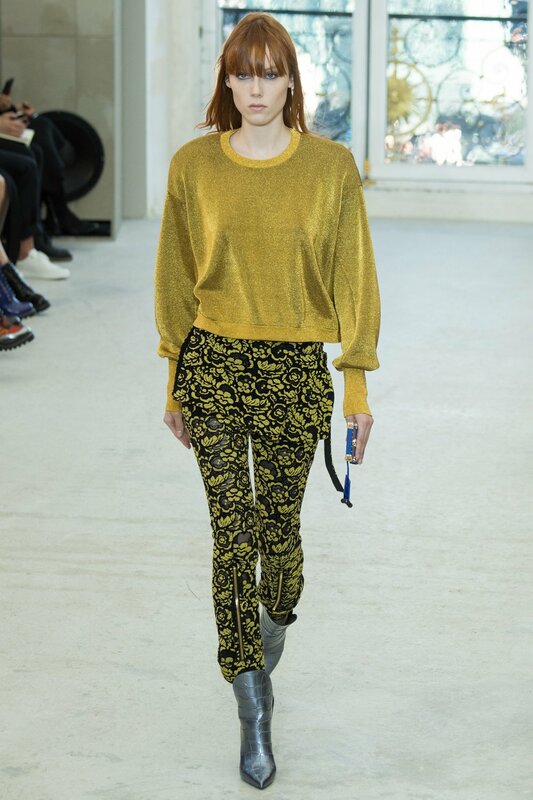 Taking place in what is to become the brand's flagship store on the Place Vendome, Ghesquiere showed a sophisticated and more style conscious collection appealing to the brand's jet set clientele. 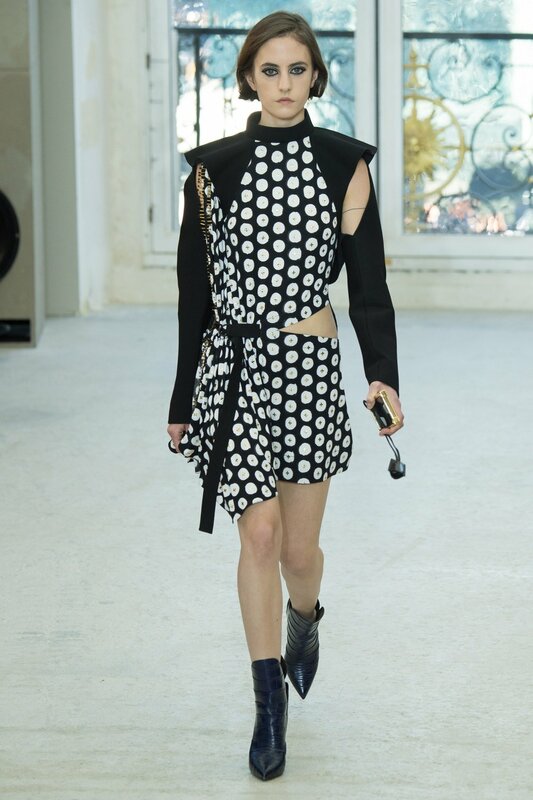 With jersey bead embellished wrap dresses featuring strategically placed cut-outs, Ghesquiere opened the show with a brilliantly chic take on relaxed fashion. The designers well tailored play on suiting for Spring/Summer offered exaggerated shoulders, caplets and cross paneled buttoning more in line with his traditionally technical style of design. The highlights of the collection were the variety of sheer dresses with swooping body suits and the sleeveless lace tops and pants that are sure to be coveted items by style stars everywhere next season. It was a beautiful collection for Louis Vuitton, but what had everyone chattering were the Petit Malle phone cases the models clutched as they walked down the runway. I am sure that as I write this review fashionistas everywhere are already vying to get their hands on one. Images by Yannis Vlamos/Marcus Tondo courtesy of Vogue.